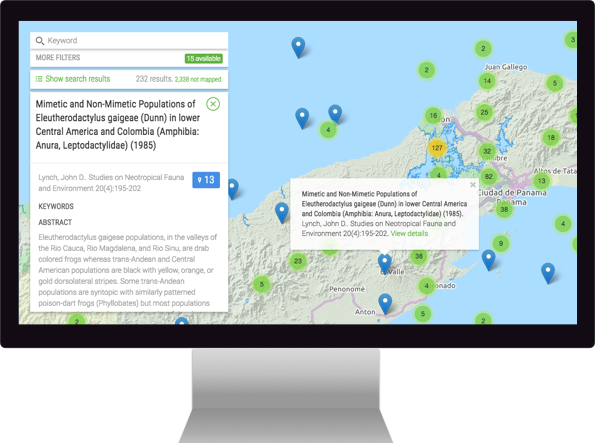 Harness the power of geography to improve traditional scholarly searches. JournalMap provides a unique new way of uncovering relevant research using study location data and environmental attributes. Add articles to the map, recommend fixes, and create collections for others to see. Even make a geographic resume of your work! Contribute your geotagged articles to increase readership and impact. With articles from 1,259 journals and counting, why isn’t yours on the map? User-created collections of articles capturing a wide range of topics. Create your own and share them with others.